THOUGHTSKOTO Thoughtskoto : GOOD NEWS! 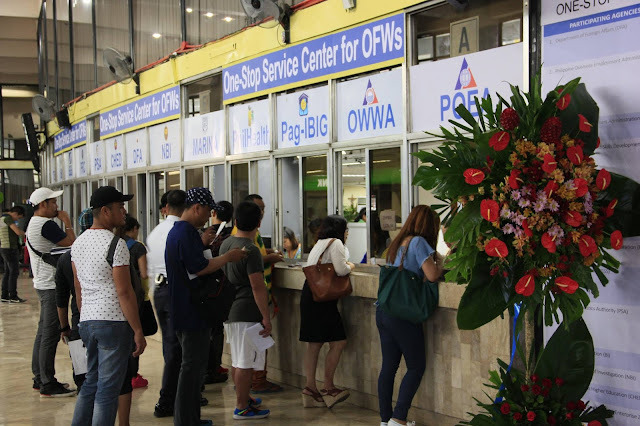 ONE-STOP SERVICE CENTER for OFWs (OSSCO) at POEA BUILDING IS NOW OPEN! GOOD NEWS! 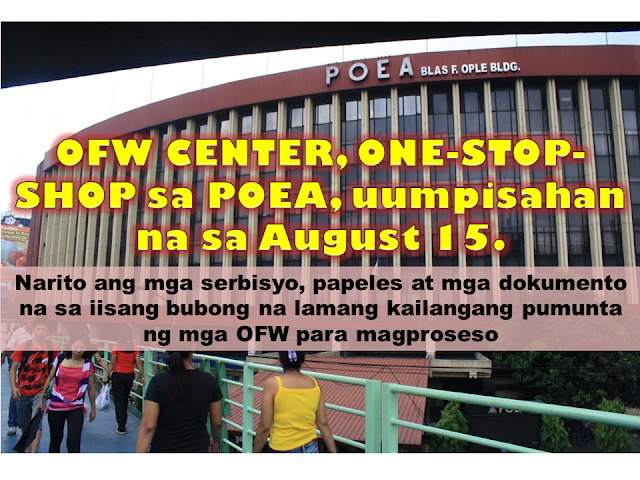 ONE-STOP SERVICE CENTER for OFWs (OSSCO) at POEA BUILDING IS NOW OPEN! 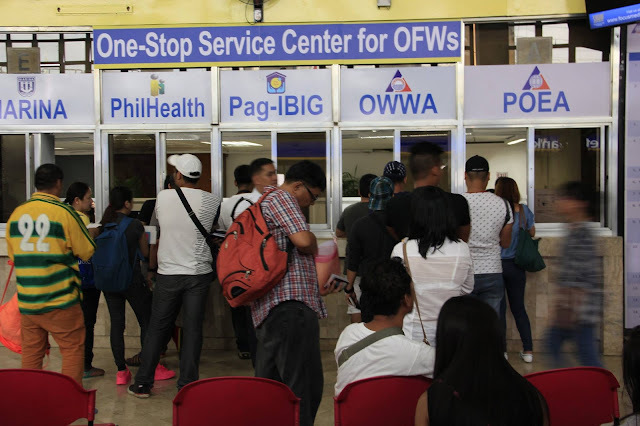 Bello said the One-Stop Service Center for OFWs (OSSCO) is located at the ground floor of the Philippine Overseas Employment Administration’s main office at Blas F. Ople Building in Ortigas Avenue corner EDSA, Mandaluyong City. He said the one-stop service center is seen to reduce transportation expenses of OFWs and shorten the processing time of their documents. Bello said the Department of Labor and Employment is also setting up one-stop centers in all regions in coordination with the regional offices of the agencies cited above, local government units, and other partners and stakeholders. The OSSCO in Ortigas and the regional offices will be open from 8:00 A.M. to 5:00 P.M., Monday to Friday, or in its discretion, with prior approval of the POEA or DOLE Regional Office, may extend the services during weekends and holidays. 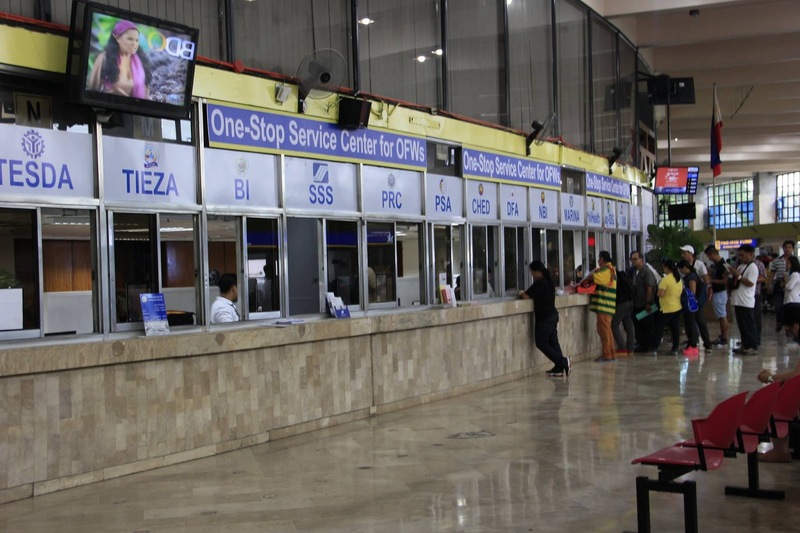 DFA: OFW PASSPORT RENEWAL, ONE DAY PROCESSING ONLY IF YOU COME EARLY TO THIS BRANCH! GOOD NEWS! NO MORE OEC FOR VACATIONING OFWS STARTING SEPTEMBER 15, 2016!